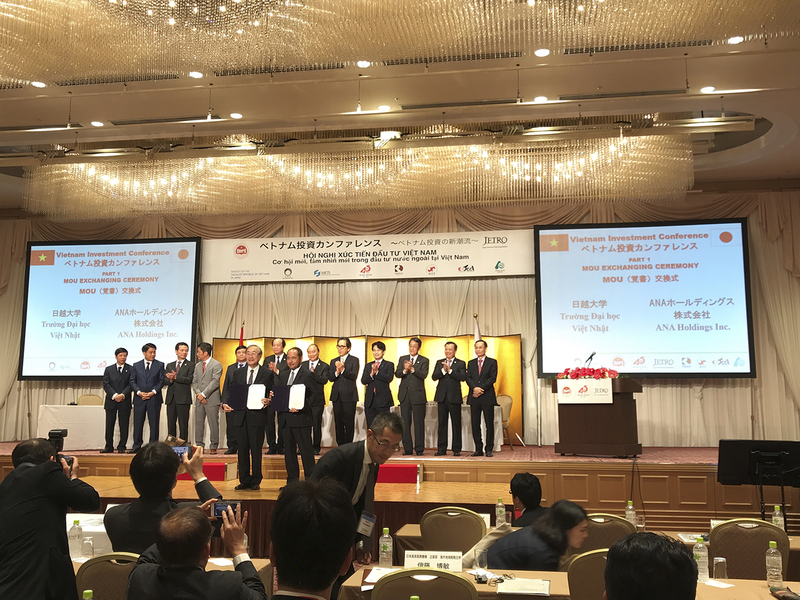 Rector of Vietnam Japan University (VJU) Furuta Motoo and Senior President of ANA Holdings Corporation (ANAHD) Koji Shibata was exchanging comprehensive partnership agreement in front of Prime Minister Nguyen Xuan Phuc at Vietnam Investment Conference in Tokyo, Japan. 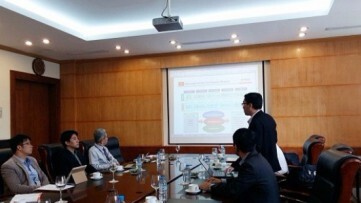 Comprehensive cooperation between Vietnam Japan University and ANA Holdings Inc. opens wide range of opportunities for Vietnamese student's further career in aviation industry. 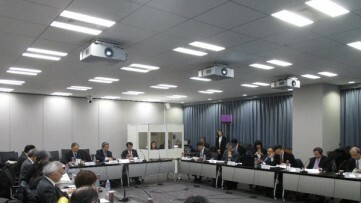 ANA Holdings is the largest aviation company in Japan and one of the most prestigious all over the world. 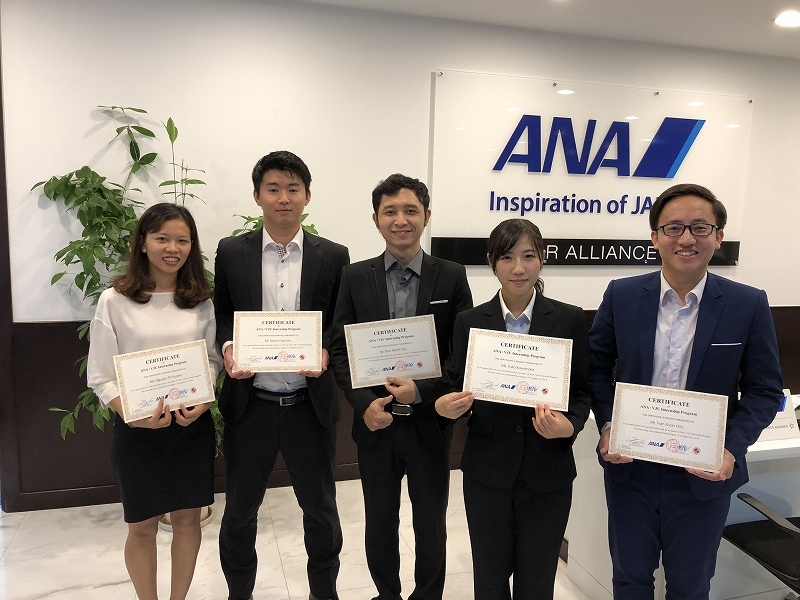 To represent this achievement, ANA Holding always sets the target of seeking and training high qualified human resources, followed by the Kaizen philosophy – Continuous improvement”. 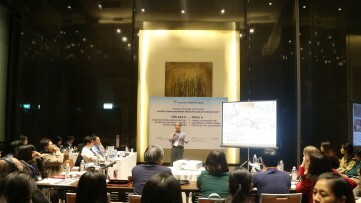 Previously, from 13th to 18th August 2018, All Nippon Airways Co., Ltd (ANA) office in Vietnam organized internship program for students from VNUHN Vietnam Japan University and Hosei University at ANA office at Noi Bai Airport, which is a great opportunity for the students experiencing authentic setting of the professional aviation company.